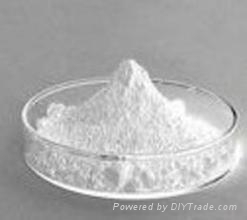 Properties: White crystalline powder or granule; dissolve in water completely. Application:Zinc Gluconate can be used as a dietary supplement and as a nutrient. Zinc is an important antioxidant nutrient. It is necessary for protein synthesis, wound healing, for blood stability, normal tissue function, and aids in the digestion and metabolism of phosphorus. As a professional supplier ofzinc gluconate: Henan Sinotech Import&Export Corporation. For more info., please contact us: hasinotech at gmail dot com.